We help streamline the enrollment and onboarding processes for your business. Taylor Insurance is a family-owned and client-centered Employee Benefits Consulting and Brokerage firm headquartered in Valdosta, Georgia. 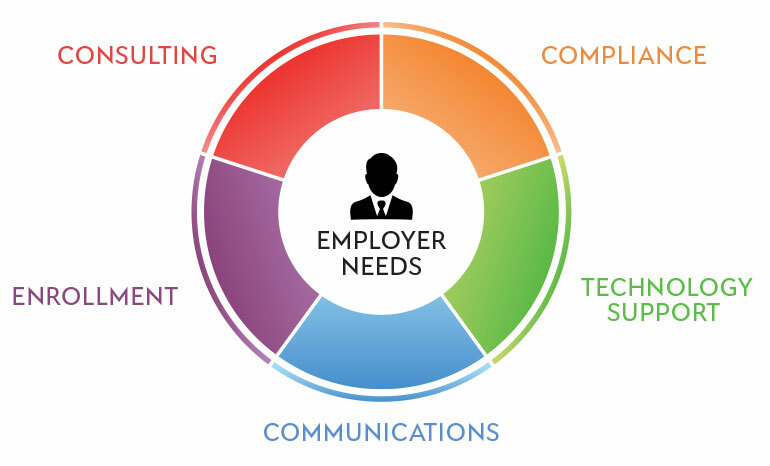 We proudly provide a full spectrum of solutions for employers seeking to provide their employees with high-impact, high-quality, high-value products and services that surpass industry standards. Our extensive portfolio of benefit options and our commitment to personalized service are unmatched by others in our industry. Throughout our history, we have earned a reputation for excellence and continually strive to live up to our own high expectations. In addition to offering an effective mix of one-to-one, online and traditional benefit communications strategies, our service offerings have expanded in recent years to take advantage of innovative technology services, a larger staff and improved functionality and productivity. We have always considered our clients to be our highest priority and we continually delight in finding new and additional ways to service their financial needs. The agents don’t mind taking the time to make sure that my employees understand each product during enrollment and throughout the year. The agents are consistently responsive to the needs of the employees, which communicates to the PCC management team that they care about our employees. The Taylor Insurance Services team knows insurance! Their agents genuinely care about our employees and help me by staying up-to-date on the changes to laws that affect our employees and their benefits. The office staff is friendly and helpful when we need help processing claims. This [MyIdealDoctor] is the future of managing employee health benefits, especially for small a business. So many have had to turn employees out to the exchanges which is usually viewed as a negative by employees. This is very much affordable in that it addresses so many conditions that would normally require a trip to the ER, a clinic or a general practitioner which most people can’t afford and it conserves employer resources with regards to lost time. This is a true Win-Win! What areas of your current employee benefits need the most help?